Want the best supplements and foods to prevent colon cancer? What about Imunotherapy cancer treatment to heal what causes colon cancer? The good news is that colon cancer rates can easily be substantially reduced, according to medical researchers. Not just with supplements and with foods to prevent colon cancer, but for treatment for those who already have colon cancer. ...you can now vastly improve your odds as you undergo chemotherapy and radiation treatments, even if you are dealing with metastases! But they also suggest to take vitamin D as therapy to STOP cancer cells from proliferating and to keep tumors under better control! You oncologist does not advise your on supplements and foods to prevent colon cancer? Dr. Garland, of the University of California, showed a clear link between blood levels of vitamin D and the odds of developing colon cancer as well as breast cancer. Dr. Garland says that a proper dosage of vitamin D vitamin would reduce the total number of people on this continent contracting prostate cancer and breast by more than 100,000 per year! About 3,000 studies have been published in the medical literature looking for links between vitamin D3 and all types of cancer, and most have found that vitamin D3 plays a beneficial role. Which types of cancer especially? For prostate cancer it is more associated to AGGRESSIVE forms of prostate cancer. Dr. Garland’s study is one of the most detailed ever to link blood levels of vitamin D3 and the chances of getting either breast cancer or colon cancer in the future. Why add Alternative Cancer Cures to Your Treatment? 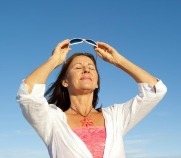 Scientists say that vitamin D3 both prevent cancers and slow down their development. Researchers found that normal cells adhere to one another in your tissues when there is a good supply of vitamin D.
They speculate that without enough vitamin D3, cells may lose this "stickiness" along with their identity as differentiated cells, and revert to a stem cell-like state, that eventually turn into tumors. "The first event in cancer is loss of communication among cells due to, among other things, low vitamin D and calcium levels," according to epidemiologist Dr Garland. That news alone should get us out into the sunshine more often. However, even many people who live in sunny climates like Australia, Hawaii and Florida are not getting enough vitamin D for prevention. Researchers like Dr. Garland, and vitamin D experts such as Dr. Reinhold Vieth at the University of Toronto, say that supplements can restore protective vitamin D levels . Vitamin D levels can be increased by what is now considered "modest supplementation" with vitamin D3 in the range of 2000 IU/day, according to Dr. Garland. Best of Foods That Prevent Colon Cancer? Best of foods to prevent colon cancer? 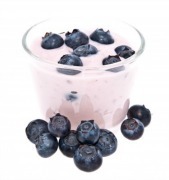 We don't usually think of yogurt as one of the foods that prevent colon cancer, but Dr. Garland's research shows that low levels of vitamin D and calcium go hand in hand. Many studies show a beneficial effect of vitamin D and calcium on cancer risk and survival of patients with breast, colorectal and prostate cancer. Dr. Garland's research now suggests that the cellular disruption caused by these low levels could account for the earliest stages of many cancers! "play a key role in cancer by disrupting the communication between cells that is essential to healthy cell turnover, allowing more aggressive cancer cells to take over." Yogurt is one of the best calcium-rich foods - easily absorbed calcium, and by adding friendly bacteria to the gut, is among the best foods to prevent colon cancer. Immunotherapy cancer treatment is becoming better known because with immunotherapy, because it is doubling and tripling survival rates. Although doctors in the past have told their patients not to take vitamins or vitamin supplements during their your cancer treatment, this may be changing. Why? This caution against taking vitamins is based on several studies showing that vitamin C could actually feed tumors. However, many scientists are now suggesting that Vitamin D3 has anti cancer properties that affect every cell of the body, and that this vitamin should be taken both before and during treatments, especially for both breast and colon cancer. There is evidence that vitamin D3 can be used as therapy, in that at any point in the development of cancer, at its initial site, or even after it spreads in a process known as metastasis, that vitamin D is able to coax cells back into proper behavior. Those who are recommending Vitamin D3 say it may stop cells from proliferating into full-blown tumors, or keep tumors under better control. Given that the price of a year's supply of vitamin D3 is not much more than $30 USD, whats' not to try as an alternative cancer cure? Want extra assurance during radiation and chemotherapy immune system help? You may want a clinically tried supplement for immune system strength for your treatment. Immunotherapy proteins clinically shown to "optomize the immune system." Reports from others with colon cancer who have recovered from serious cancers by adding immunotherapy proteins. Chemotherapy immune system help for fewer radiation and chemo side effects and faster recovery. We hope that you have been inspired to add foods to prevent colon cancer such as yogurt, and vitamin D supplements to your regime! Colon cancer is still a reality. For both men and women, colon cancer is still the third most commonly diagnosed cancer! What else causes colon cancer? 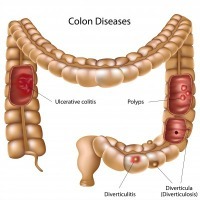 Many studies show that meat and fats play a role in colon cancer development. 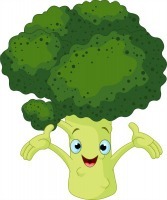 Eat less red meat -- especially less deli meat with fats and additives, and increase fiber rich foods like broccoli. Soluble fiber especially, in foods like lentils and beans -- navy beans and kidney beans. What's the missing link for you? Experts who are recommending Vitamin D3 say it may stop cells from proliferating into full-blown tumors, or keep tumors under better control. And by adding the best supplements for immune system strength, you can vastly improve your odds when undergoing chemotherapy and radiation treatments, even with metastases. That's very good news both as an alternative cancer cure and how to prevent colon cancer, for all of us!